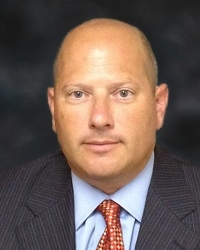 Rick Faraone has over 15 years of experience as a financial planner who empowers business owners, highly compensated executives, high net worth families and independent professionals as they work to achieve financial independence. Rick affords his clients the opportunity to preserve their estates so that their hard-earned wealth is sustainable for generations to come. He specializes in providing estate, business succession, investment and retirement planning services throughout the immediate Washington Metropolitan region, although he has a growing number of clients nationwide. He also has a particular expertise in charitable planning and gifting opportunities as they integrate into these areas on a seamless basis. Rick earned his CERTIFIED FINANCIAL PLANNER™ certification in 2003. He is currently pursing his Masters in Financial Services and Chartered Financial Consultant (ChFC) designation, from the American College. Rick has extensive experience and acumen in servicing his clientele. Sagemark’s custom financial plans use scenario learning to address the needs of those who have already done substantial amounts of planning. Many of Rick’s clients already have a sizeable team of advisors in place. Results of comprehensive planning can include significant reductions in estate, capital gains, and gift taxes; and wealth retention through customized investment planning using proprietary modeling technology and cutting edge planning strategies. When Rick is not working he is active in coaching all four of his children in various sports. He currently coaches county, city and AAU basketball teams. Over the last 10 years he has coached all different levels of little league baseball as well. He is an avid golfer and is dreading the fast approaching day of loosing to his kids. Rick graduated from the University of Delaware in 1995 with a business degree. He lives in Gaithersburg Maryland, with his wife Cathy, and his kids, Jack, Kate, Bobby and Annie.